Featuring Matthew McConaughey, Diane Lane, and Anne Hathaway, Serenity is a drama, thriller film directed by Steven Knight. 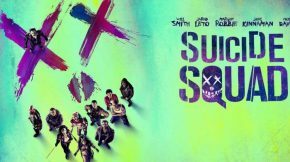 The movie also comes with one of 2019’s anticipated soundtrack from English composer Benjamin Wallfisch. His previous works included Blade Runner 2049, Dunkirk, and It. Listen to the official movie soundtrack and the complete list of songs below. The Serenity movie trailer does not feature any songs, please let us know if you think we are incorrect.